I posted this phrase on another thread, but I'd like to offer it to HPC and the world. To me, "Mumsnet Economics" is a mindset that cannot see wood for trees but believes a few twigs will add £10k. It's the kind of economics that wants 10% off of the new place as "They're asking silly money", but refuses to drop £1 on the place they bought in 2007. Mumsnet Economics means that a shiny 4x4 is a good investment, but renting is always dead money. 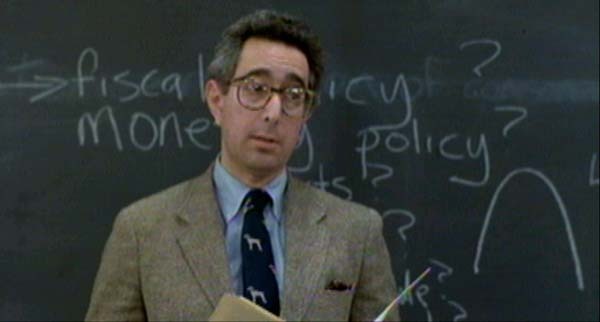 Of course, this is a play on Voodoo Economics, and as an uneducated fellow, I only learned that from Ferris Bueller. I'm quite partial to Voodoo Economics. Like it, I'd use it. Proper sexist too, bonus. How about Lorealism? - Because I'm worth it. Needs tweaking maybe. Doesn't have the ring of, for instance, reaganomics. Seeing this all the time on MSE! No, I'm sticking with Mumsnet Economics. It's valid because of the parallel with Voodoo Economics. It's also suitably insulting, leaves the reader in no doubt about the meaning and hopefully it will find it's way over to those lovely Mums at Mumsnet. I shall make sure I use it in conversation every day. I do like some of the other ones too. It would be interesting to witness the origin of a grassroots meme, as opposed to one dropped from on high through the media. Wonder what the equivalent would be here: HPC-cernomics? Christ, have some kids, do the school run and you'll find that this sort of thinking makes up the mjority of women at the gates. I don;t really engage in discourse on these sorts of issues - you need people to be sort of on the samish wavelengh and understood certain economic phenomenen. It'll just end with 'You would say that, Men are all the same'. Harse? You try dealing with these idiots on a dail basis. How about "mumsnetism" which encompasses a full ideology/mindest of economic illiteracy, NIMBY-ism, ill-informed and illogical sociopolpolitical ramblings and an obsession with low brow media/entertainment "stories"
or am I being a little harsh??? Heard an interesting term last night that the fall of the Berlin wall led to a 'mafiocracy' in Russia. "My property has been valued lorealistically." "The buyer's expectations are too lorealistic." She's good too. Team of 30 people and makes a tidy income. > She's good too. Team of 30 people and makes a tidy income. I'm sure there are others that spawned here that are everywhere now. Biflation? The 'Merkins were using the phrase a good year or three before the glorious Pebble picked up on it. Though they say "Liars loans". I prefer "That's not my Princess, her fan is too furry". Now that's a real book. But as a marking slogan for cosmetics it was absolute genius anyway, so it's a good place to start. Nothing quite captures a value based on nothing but perception. But you're a little behind. L’Oréal's famous advertising slogan is "Because I’m worth it". In mid 2000s this was replaced by "Because you're worth it". In late 2009 the slogan was changed again to "Because we're worth it" following motivation analysis and work into consumer psychology of Dr. Maxim Titorenko. The shift to "we" was made to create stronger consumer involvement in L'Oréal philosophy and lifestyle and provide more consumer satisfaction with L'Oréal products. L’Oréal also owns a Hair and Body products line for kids called L'Oréal Kids, the slogan for which is "Because we're worth it too".